This Fisher and Paykel 60cm, 85L built-in oven has nine functions for a variety of cooking styles. This built-in oven has nine functions with pre-set temperatures, including Bake, Fan Bake and Fan Forced allowing you to use a variety of cooking styles. 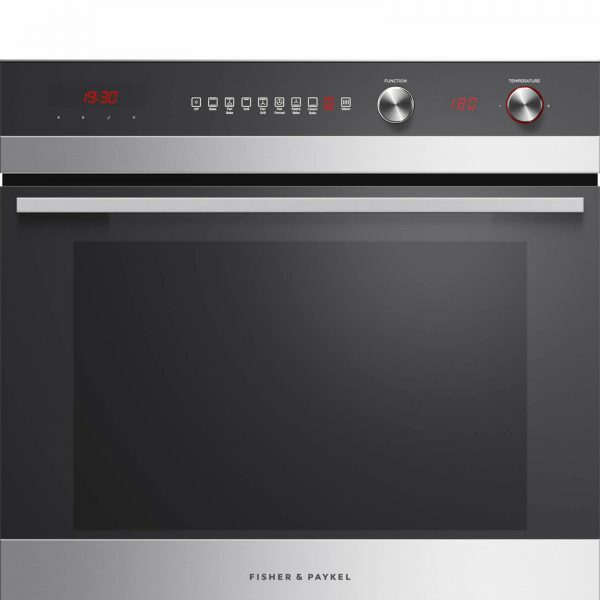 Designed for multi-shelf cooking, this is one of the largest built-in ovens on the market providing 85L total capacity. The higher internal cavity allows you to fit a large casserole dish, the family roast and a pie for dessert. 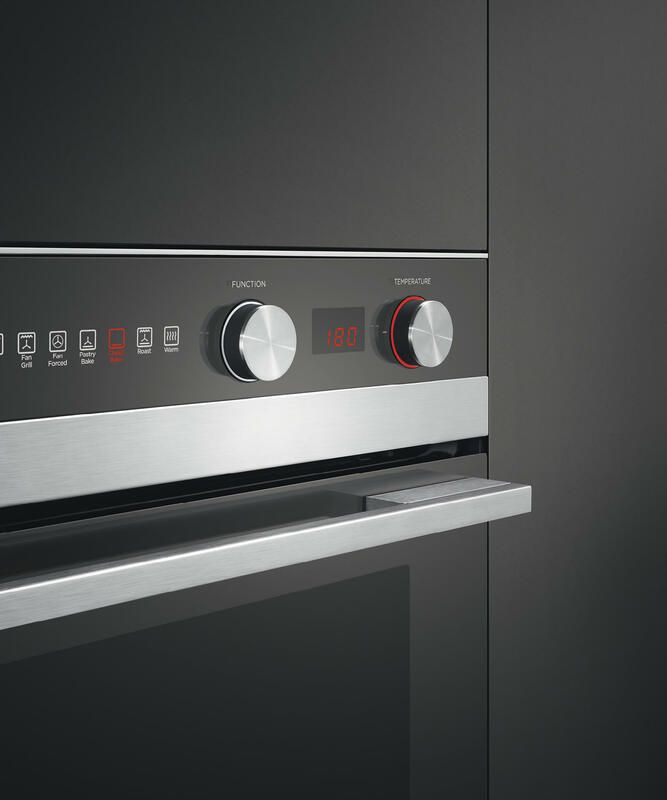 Our built-in ovens feature ActiveVent – a unique technology that optimises moisture levels, essential when cooking a succulent roast chicken or a light pavlova. AeroTech technology circulates heat evenly, ideal for multi shelf cooking. Roast is a specialised function that combines the power of Grill with the long, slow heating ability of Bake. Your food receives 20 minutes of grill power before the oven automatically reverts to Bake at the desired temperature.